Develop the fine art of communication! This reader and its accompanying workbook are designed primarily for the Hispanic bilingual student whose home language is Spanish but whose dominant language is English. The program provides students with the opportunity to develop communicative and academic skills in Spanish, as well as knowledge about Hispanic cultures. Throughout, the text provides ample opportunities to read high-interest thematic selections, prepare for and present formal class presentations in Spanish, and practice writing in a variety of modes and styles. 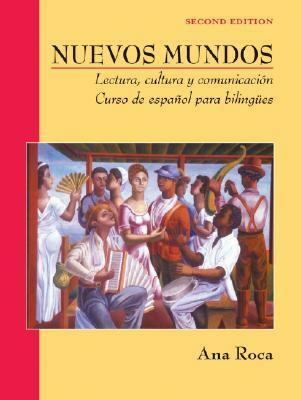 Features Includes readings with themes of high interest to heritage language learners of Spanish. Provides numerous opportunities for individual, group, and class participation. Promotes cultural awareness through community involvement, independent study, research projects, and internet activities. Emphasizes cooperative learning and a content-based approach to help students learn more about the diversity of Hispanic cultures and improve their oral proficiency in the language. The Companion Website (www.wiley/college/roca) provides useful resources in the form of links to sites that are thematically related to or of supplementary use to the topics of each of the units. The site also includes links that provide a rich source of pedagogical information for both novice and experienced instructors of Spanish as a heritage language. The Panoramas culturales website (www.wiley.com/college/panoramas) features a wealth of information on the 21 countries of the Spanish-speaking world with two activities per country that require surfing the web for answers.Roca, Ana is the author of 'Nuevos Mundos Lectura, Cultura y Comunicacion Curso De Espanol Para Estudiates Bilingues', published 2004 under ISBN 9780471269250 and ISBN 0471269255. Loading marketplace prices 27 copies from $10.18 How does the rental process work?